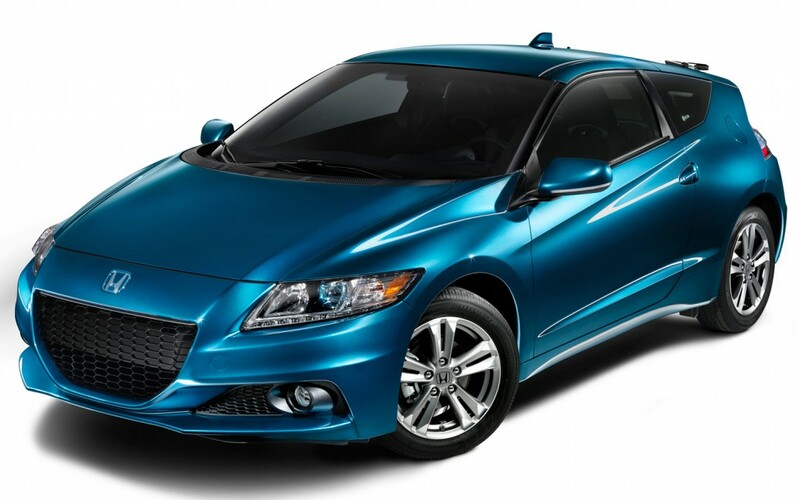 Honda’s CR-Z hybrid was supposed to combine sportiness and economy, but ended up being too much of a compromise. The hybrid that was supposed to invoke the original, two-seat Insight and the 1980s CRX hot hatch ended up doing neither. Luckily, Honda is making a few improvements for the 2013 model year. The 2013 CR-Z gets a few tweaks that were previously announced for European and Japanese models, including more power from its electric motor. The 1.5-liter gasoline inline-four remains the same, but the motor gets a boost from 10 kW to 15 kW. As a result, power increases from 122 horsepower and 128 pound-feet of torque to 130 hp and 140 lb-ft (models with the continuously variable transmission are stuck with 127 lb-ft). The bigger electric motor is backed by a larger, 144-volt lithium ion battery pack. It replaces a 100.8-volt nickel metal hydride battery. Transmission choices remain the same: a CVT or a hybrid-exclusive six-speed manual. The stock shift gets a bigger clutch, and the axle has a shorter final drive ratio for better fuel economy. The mechanical changes, along with some adjustments to the front and rear fascias, help improve fuel economy, but only slightly. Models equipped with the CVT are rated at 26 mpg city and 39 mpg highway, gaining a whopping 1 mpg in city driving over last year’s model. Manual transmission CR-Zs get a 1 mpg bump in highway mileage, with a rating of 31 mpg city and 38 mpg highway. Honda will add a nifty Plus Sport System that gives the driver an extra boost of acceleration with the push of a button, so he or she can pretend they are activating the KERS in a fantasy Formula 1 race. The system only works for five seconds at a time, provided the battery has more than a 50 percent charge and the car is traveling more than 19 mph. Honda is also dressing up the interior with some metallic trim, and added more equipment. The CR-Z now comes standard with a backup camera and Bluetooth, and an infotainment system with voice-controlled text messaging and Pandora is now an option. Other dress-up options include a red-and-black interior trim package and LED headlights. 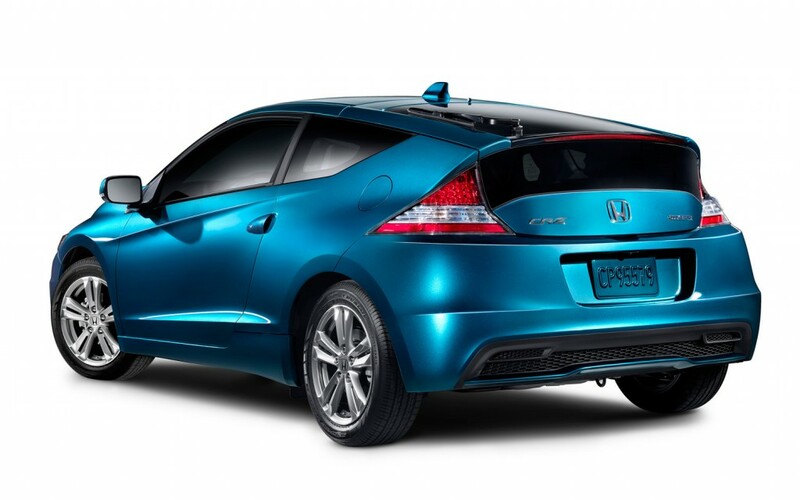 On the outside, the 2012 CR-Z’s love-it-or-hate it looks remain, although Honda added a front spoiler, mesh grille, blue-tinted lights, and a few other detail changes. The CR-Z doesn’t blend in like other Honda products, but it’s not exactly easy to look at, either. The 2013 CR-Z starts at $20,675 (plus a $790 destination charge), putting it between the $18,500 Insight and the $24,200 (for a 2012 model) Civic hybrid in Honda’s lineup. Both cars offer better fuel economy (44 mpg highway) and more space, but are admittedly more boring. Still, the CR-Z will still be a tough sell when it hits showrooms November 21.